Last year’s Super Garden was basically our first. Yes, we dove right in. We had done some raised boxes in California, but didn’t get the soil right, so everything bloomed and then died. Last year’s harvest was spectacular, and completely overwhelming, when we started getting everything canned. 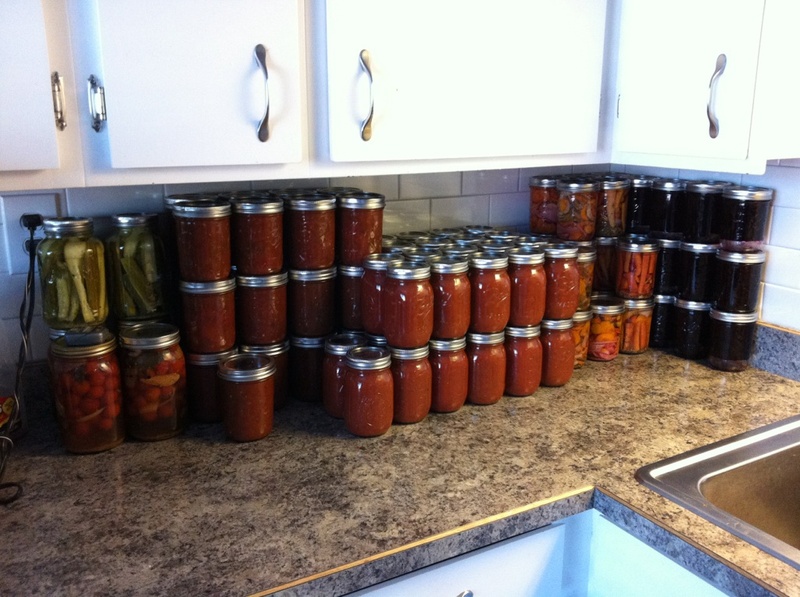 I was canning before work, and after work, and on weekends. We had so much in our garden – this was picked in about 10 minutes. This was literally, Just The Beginning! By the time we had finished, we were so wiped out, we let the garden just get taken over by weeds, and let them winter there. Oh. Such. A. Big. Mistake. Now our garden is a beautiful, overgrown, mass of weeds. 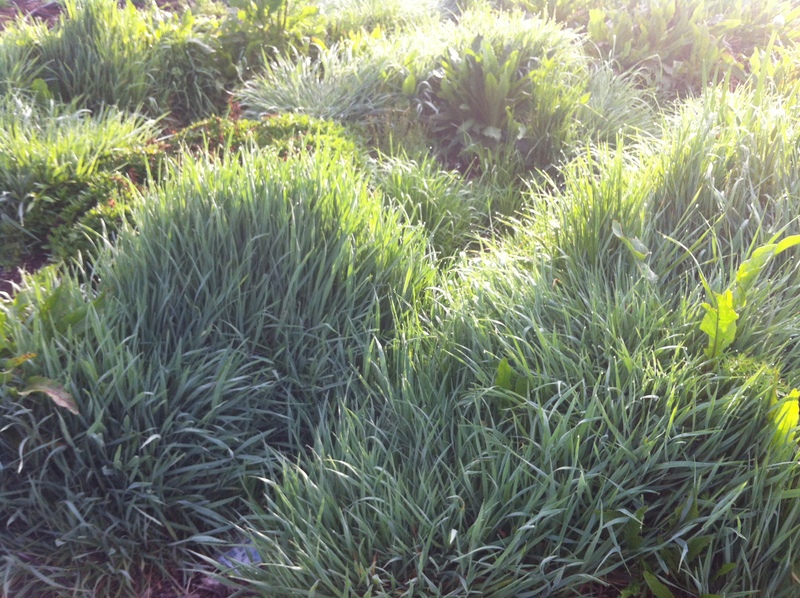 Wouldn’t we be the most fortunate species if we could live off weeds that grow plentifully with no tending? This is a close-up of only one section. 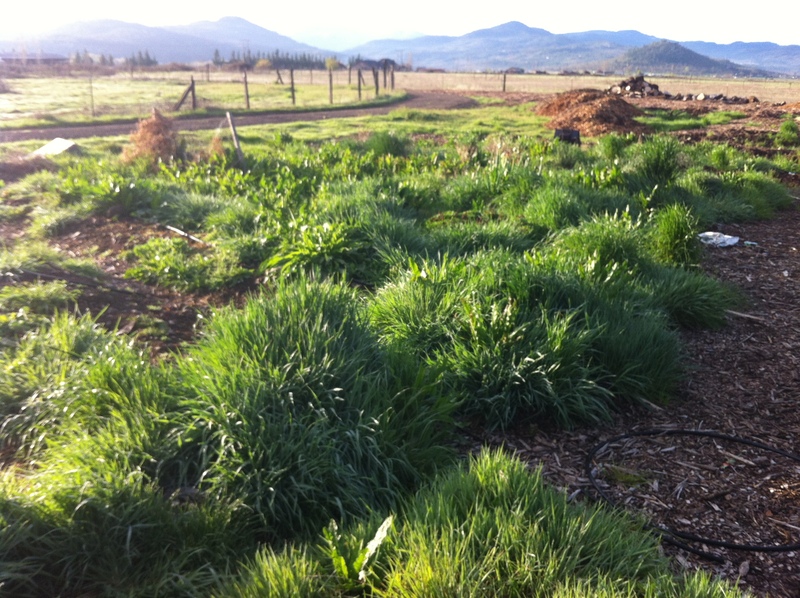 We have a garden plot of over 1,000 square feet. I know because on a Google Map, our garden is bigger than our home. And it’s full of weeds. That’s what we get for being lazy last year. 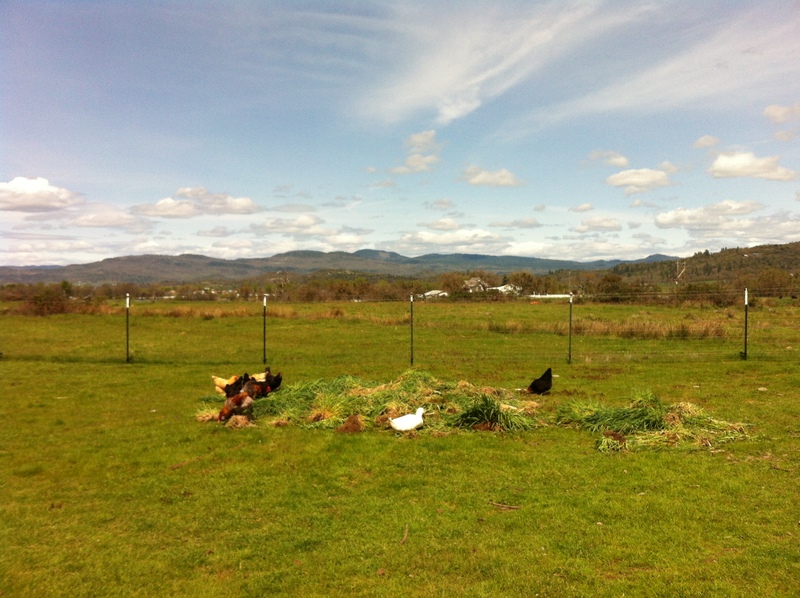 So, we filled the back of a pickup with weeds, and dumped them in the Chicken Yard for our hens to dig through for all sorts of fun nermies they could find. Here in Southern Oregon, we aren’t supposed to start planting much of anything outdoors until Mother’s Day, with a few exceptions. 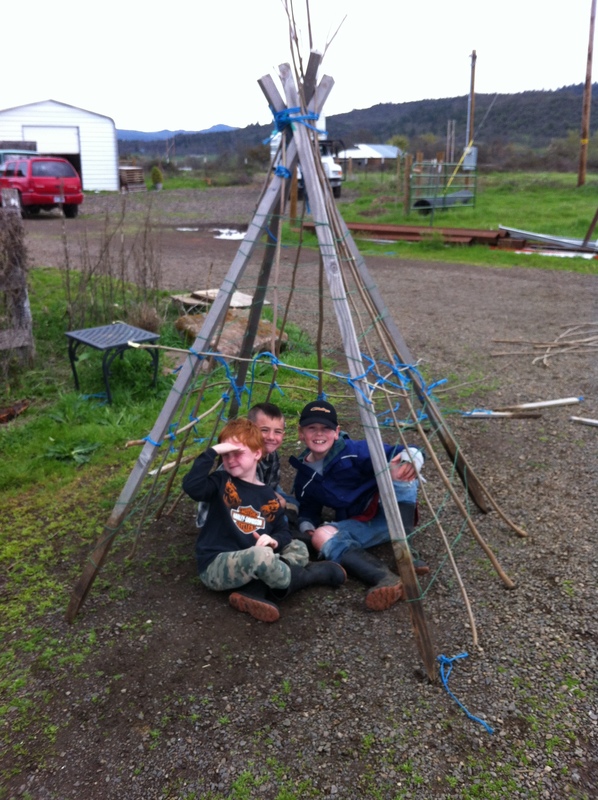 A few weeks ago, our boys and a friend helped me build a Tee-Pee/Fort/Pole Bean Trellis. 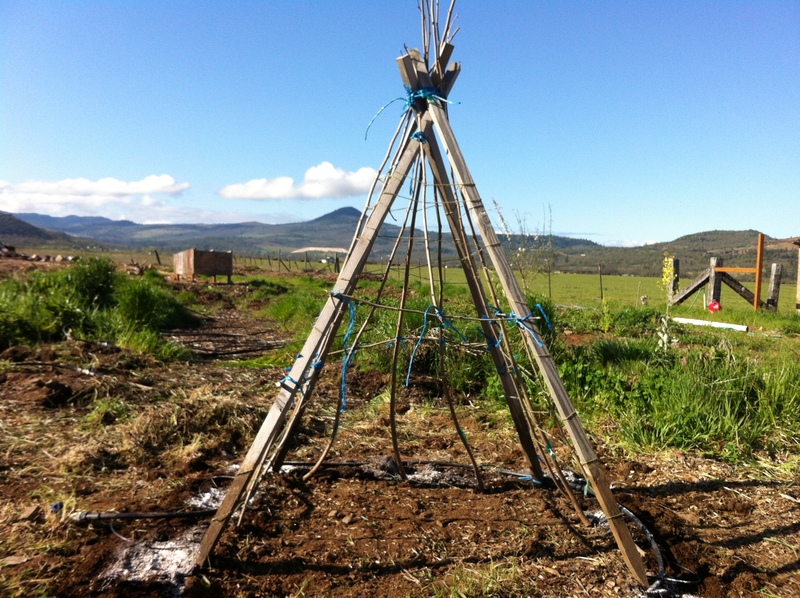 So, today, even though we still have many, many more hours (perhaps days) of weeding to do, we put in the Pole Beans and the waterline. The opening is facing North, and facing the boys’ Tree House, so it should be lots of fun for them once it is covered in vines and snacks. We hope they leave us a few beans for dinners and canning!